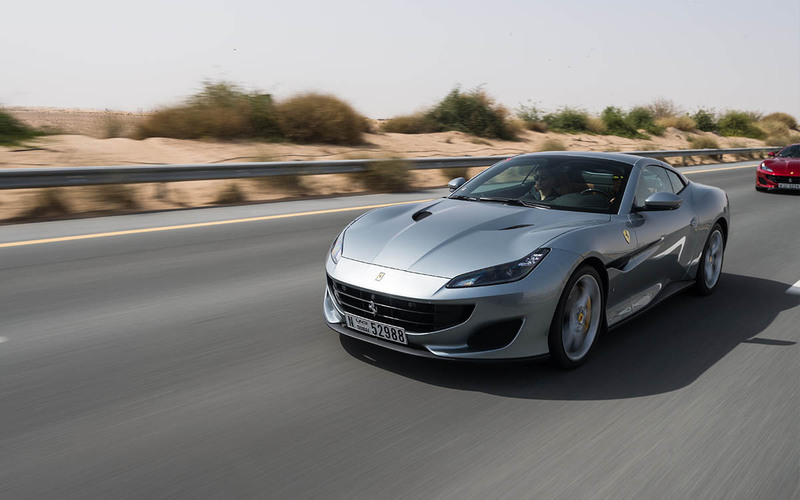 Town&Country journeyed to Dubai to take Ferrari’s new supercar for a spin. Meet the Portofino, Ferrari's new supercar. The $200,000 (around P10.2 million) convertible has been dubbed as Ferrari’s “entry-level” supercar. That's because the La Ferrari, the iconic Italian brand’s superhypercar costs $1.35 million. 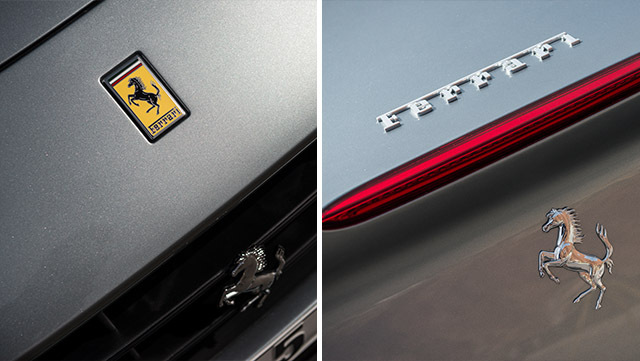 A quick look under the hood, however, reveals that the Portofino is anything but entry-level. 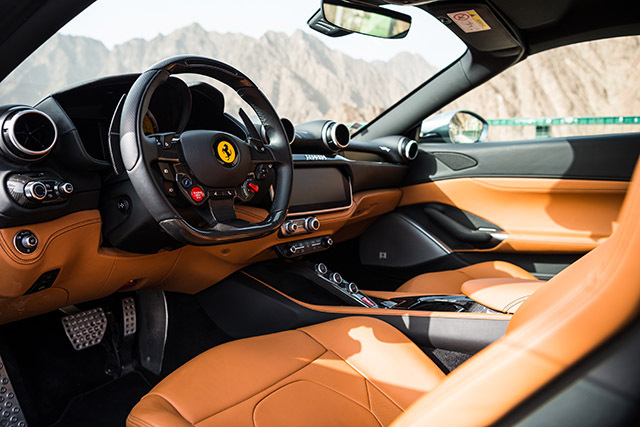 It uses a 600-horsepower, turbocharged V8 engine which is up 40 from its predecessor, the California T. Additionally, it boasts the Ferrari tradition of zero turbo lag, taking you from 0 to 60 mph in 3.5 seconds. 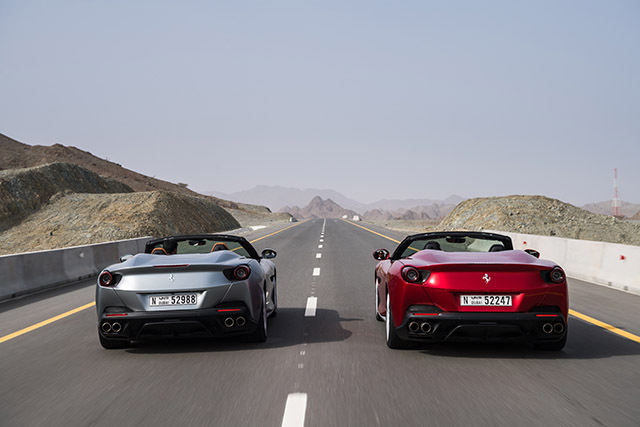 “Welcome to the world's very first Ferrari Portofino road test drives,” said Helmi Sghaier, PR and Communications Manager of Ferrari Middle East, Africa & India as he escorted us into a ballroom to get an overview of Ferrari’s latest V8 GT. The supercar's name, like its design, symbolizes elegance. Located in Genoa—the west coast of Italy—Portofino is a typical Ligurian fishing village that’s hugely popular with the elite jetset and international celebrities. The iconic seaside town is tightly clustered around a small but picturesque harbor which is flanked by yachts and boats. 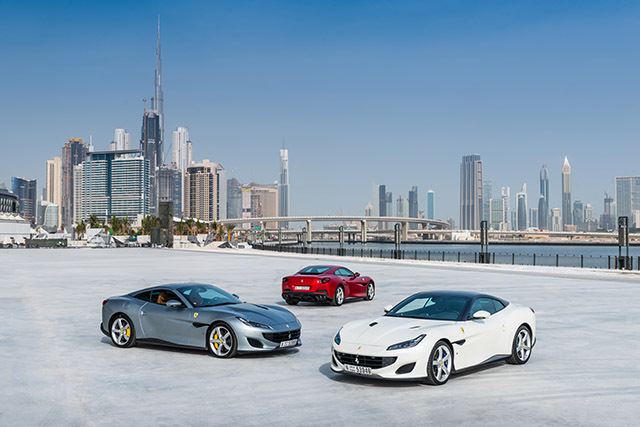 But instead of the sleepy coastal town, Ferrari had arranged for us to experience the Portofino in one of its more exotic, cosmopolitan habitats: Dubai. Our assigned car was a mix between a steel grey and metallic silver (Ferrari officially calls it the Grigio Alluminio Opaco) and though it was still a sight to behold, it was the white that turned more heads. 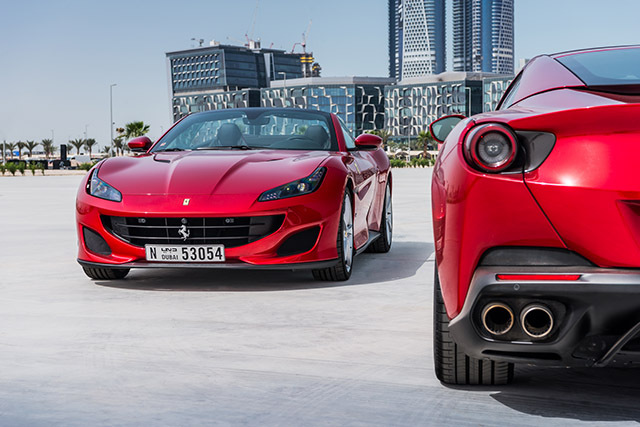 Then there’s the stunning red, which is the newest in Ferrari’s red spectrum: Rosso Portofino. The metallic triple-coat paint is inspired by its namesake town, and was formulated especially for the new model. Getting acquainted with the car was another story altogether. 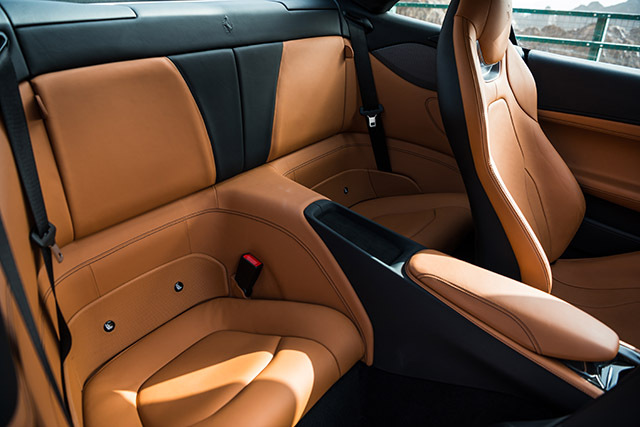 The Portofino’s seats are electronically adjustable in just about every way possible. 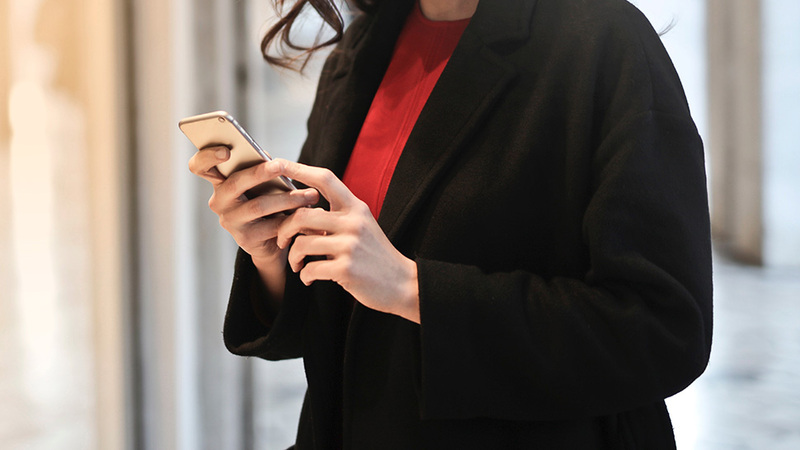 A 10.2-inch touchscreen display is programmed with an 18-way control panel allows you to customize the seat position, backrest, seat height, side cushions, as well as the central and lumbar regions of the backrest. The end result is a seat that’s perfectly molded to your body. Driving through downtown Dubai, we couldn’t help but gawk at the abundance of supertall skyscrapers. And then there’s the Burj Khalifa, the world’s tallest building, which stands at 828 meters, or roughly half a mile. The megatall structure has more than 160 stories, and stands out in the Dubai skyline. But even in the land of extreme structures and supercars, the Portofino still managed to steal all the attention. 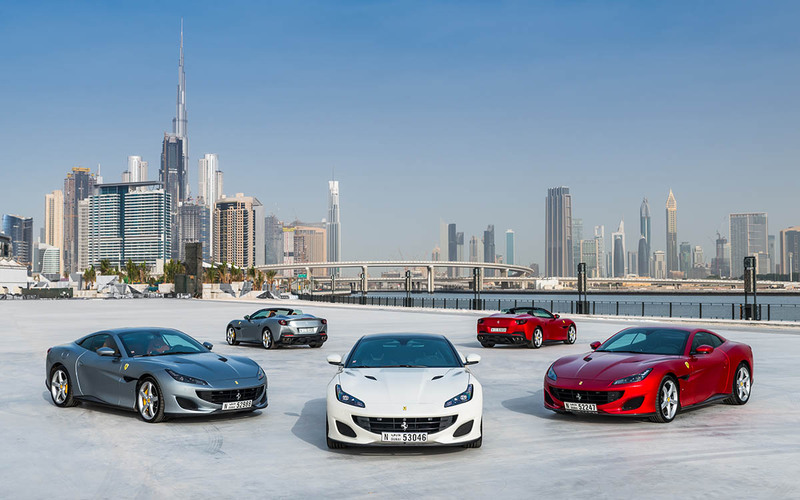 From the towers of downtown Dubai, we adventured to the desert where the Dubai-Hatta Highway, stretching 26 kilometers, acted as the perfect track for the Portofino. Dubai has strict laws with regard to speed limits, and as a futuristic city, it uses smart technology to catch those who go over the limit. 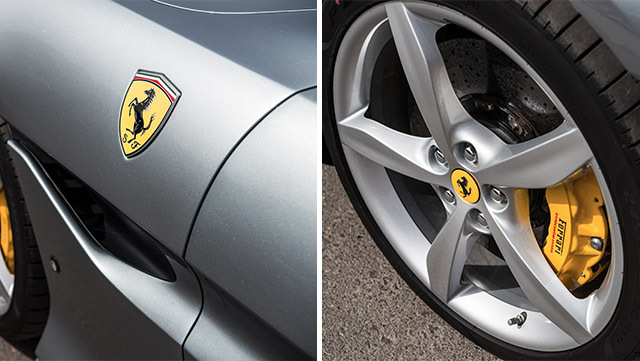 The highway, however, has varying limits and these moments allowed us to feel the performance of the Ferrari V8 turbo. A paddle shifter allowed us to change driving modes, from Comfort to Sport. And we tested the vehicle's dynamics as we went through the route where we chanced upon several wadis and rock formations. The Portofino is equipped with an all-new aluminum chassis that reduces weight by 80 kilograms and improves torsional rigidity by 35 percent. All the twists and turns revealed how responsive the car is, thanks to the addition of Electric Power Steering (EPS). The Portofino marks the first GT in its range to be fitted with EPS, as well as electronic rear differential (E-Diff3) and a magnetorheological damping system (SCM-E) with dual-coil technology. Likewise, the Portofino doesn’t skimp on style. The two-box fastback configuration adds an eye-catching sleekness to the convertible. This style ultimately makes it a sporty yet elegant character and with the top down, it’s a different beast. With one press of a button, the metal roof collapses in 14 seconds. The Portofino is programmed to do so even when driving but it requires you to slow down to 20 km/h. 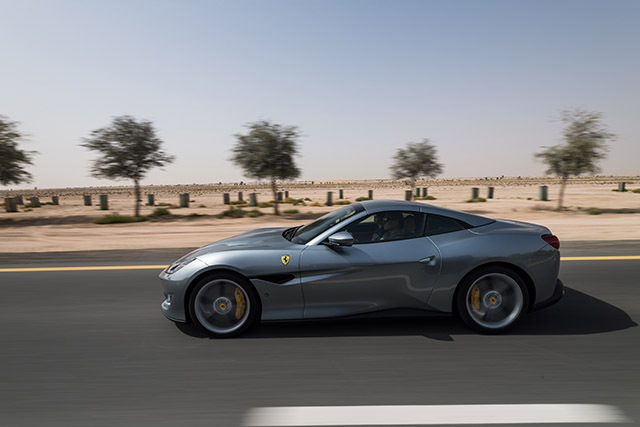 Ferrari designed the Portofino as the anti-California T. As such, the front has an expansive radiator grille which beautifully accentuates the vehicle’s nose. The final stop in our itinerary was Bab Al Shams Desert Resort and Spa, a getaway that was the perfect backdrop for the Dubai sunset. A nine-hour tour of Dubai would tire anyone out, but the plush interiors gave us the on-board comfort we needed. 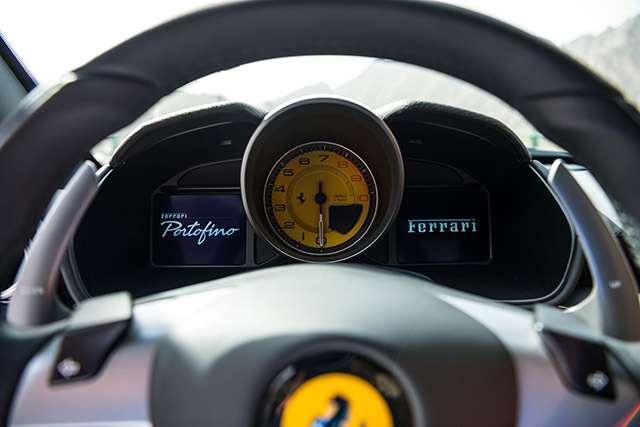 The Portofino comes at a price point that might draw comparisons to other cars of the same caliber, but at the end of the day, there’s only one Ferrari.